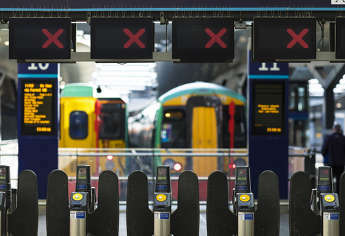 The rail regulator's report into the chaotic implementation of a new timetable in May has blamed the entire management of the industry, including the Government and the regulator itself. The Office of Rail and Road (ORR) has published its interim report of its inquiry, which was led by its chair Professor Stephen Glaister. It found that Network Rail, operators Govia Thameslink Railway (GTR), Northern, the Department for Transport (DfT), and the ORR itself all made mistakes that contributed to the ‘collapse’ of services, particularly on the GTR and Northern routes. Despite criticising the management of the industry, Prof Glaiser said that staff had 'worked in very difficult circumstances to do as good a job as possible'. Labour’s shadow rail minister, Rachael Maskell, said the report was ‘merely the latest to highlight the dysfunctional buck passing which goes on across the rail industry’. The ORR said that a key issue identified by the Inquiry is that there is an apparent gap in industry responsibility and accountability for managing systemic risks, ‘and that needs to change’. The report sets out how in May the rail industry attempted to introduce the’ biggest timetable change in a generation’, with the Great North Rail Project, which includes the North West Electrification Programme (NWEP), and the £7bn Thameslink programme expected to add more services to new destinations, with new rolling stock, more seats for passengers and improved reliability. The Inquiry found that problems caused by delays to completing NWEP were worsened by Network Rail, which wrongly believed it could make up the time. It also found that the DfT’s decision to agree to phase the introduction of Thameslink changes stretched resources at Network Rail’s timetabling department and that the industry, as a whole, failed to foresee that these combined factors created a serious risk that the revised timetable could fail. It added that during the planning stages the industry ‘placed engineering and planning concerns ahead of serving its passenger’s, which was made worse by the poor information train operators provided when disruption happened. Both the DfT and the ORR are responsible for overseeing aspects of the industry, but neither sufficiently questioned assurances they received from the industry about the risk of disruption. The final stage of the inquiry will analyse what actions the industry, the DfT and the ORR need to take to prevent a similar breakdown of services. Recommendations will be published in the final report in December. As widely predicted, transport secretary Chris Grayling formally announced a 'root and branch review of rail, which the Department for Transport called 'the most significant since privatisation', led by John Lewis deputy chairman Keith Williams.